During a routine follow-up visit, WM, a 48-year-old female, complains of ongoing fatigue since the beginning of cytotoxic chemotherapy, 6 months after initiating trastuzumab. 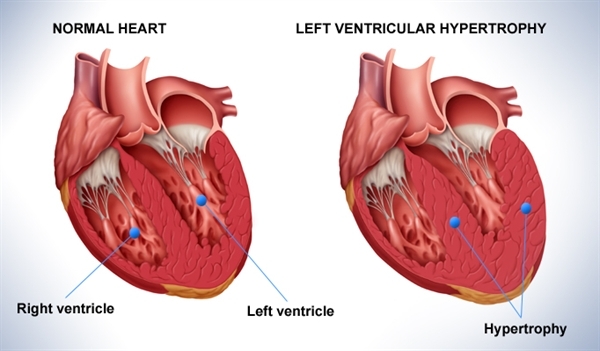 The cardiotoxicity resulting from trastuzumab use may be reversible and LVEF may return to baseline for many patients after temporary discontinuation of trastuzumab.1 If WM does recover her cardiac function, resumption of trastuzumab therapy can be considered. Given WM’s high risk for breast cancer relapse, a retrial of trastuzumab after full LVEF recovery would be reasonable. However, if WM’s LVEF does not return to baseline level, then trastuzumab reintroduction would not be appropriate.2 In some studies, patients experiencing a 20% or higher reduction in LVEF compared to baseline or receiving angiotensin-converting enzyme inhibitors (ACEIs), angiotensin-receptor blockers (ARBs), diuretics, or beta-blockers subsequently had an improvement in LVEF.3 Based on this information, an algorithm for evaluating patients who developed cardiac dysfunction while taking trastuzumab is described in Slide 2. If an individual patient experiences new episodes of heart failure upon trastuzumab resumption, treatment should be discontinued. Three large, randomized phase 3 studies suggest that 1 year of adjuvant trastuzumab can reduce this residual risk to approximately 16%.4 In two studies using doxorubicin/cyclophosphamide/paclitaxel, trastuzumab was initiated concurrently with paclitaxel. Other studies using different cytotoxic regimens have initiated trastuzumab after completion of all cytotoxic therapy. Therefore, assessing a patient’s risk of relapse is a key component when determining whether or not a particular therapy should be continued or resumed. Performing a risk-benefit analysis on an individual basis, to determine if trastuzumab should be continued when systolic/diastolic dysfunction occurs, can help predict patient outcomes. A patient’s risk assessment can be aided with a variety of tools; an example of an available tool is the Adjuvant! Online Risk Assessment tool (Slide 3). For WM, the Adjuvant! Online Risk Assessment tool estimates that her 10-year risk of recurrence is 62%. With the use of a second-generation regimen, such as doxorubicin/cyclophosphamide/paclitaxel, her 10-year risk of recurrence decreases to 32%. In WM’s case, continued trastuzumab therapy would not be appropriate because her LVEF has decreased more than 15%, and given her young age, the risks outweigh the benefits. Therefore, discontinuation of trastuzumab and reassessment of her cardiac status is indicated versus continuing the trastuzumab and potentially causing more cardiac damage. Lapatinib is a novel dual tyrosine kinase inhibitor against epidermal growth factor receptors (EGFR) HER1 and HER2.5 Lapatinib reversibly binds to the intracellular cytoplasmic site of tyrosine kinase at the ATP-binding site, inhibits receptor phosphorylation and activation of HER1 and HER2 homodimers and heterodimers, thereby blocking the downstream signaling pathway involved in cell proliferation, survival, and invasion. Although lapatinib is indicated in HER2-positive breast cancer, it currently is only indicated in the advanced or metastatic setting as part of combination therapy.5 Therefore, it would not be indicated in a curative adjuvant setting. 1) Suter TM, Procter, van Veldhuisen DJ, et al. Trastuzumab-associated Cardiac Adverse Effects in the Herceptin Adjuvant Trial. J Clin Oncol. 2007;25(25):3859-3865. 2) Romond EH, Perez EA, Bryant J et al. Trastuzumab plus adjuvant chemotherapy in HER2-positive breast cancer. N Engl J Med. 2005;353:1673-1684. 3) Martín M, Esteva FJ, Alba E, et al. Minimizing cardiotoxicity while optimizing treatment efficacy with trastuzumab: review and expert recommendations. The Oncologist. 2009;14:1-11. 4) Herceptin Prescribing Information. Genentech Inc. San Francisco, CA. 2010. 5) Tykerb Prescribing Information. GlaxoSmithKline. Research Triangle Park, NC. 2012.